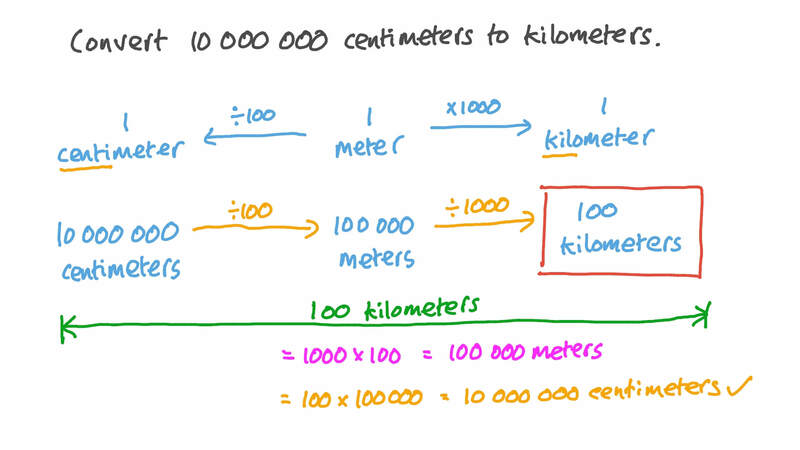 In this lesson, we will learn how to convert units of length within the metric system, such as centimeters and meters, and order length quantities with different units. Convert 10 000 000 centimetres to kilometres. Fill in the blanks: 1 1 2 8 . 7 = m k m .
To convert from kilometers to centimeters, first multiply by to convert to meters, then multiply by to convert to centimeters. To convert from millimeters to kilometers, first divide by to convert to meters and then divide by to convert to kilometers. Convert 9 centimetres to millimetres. Fill in the blanks: 1 1 . 6 = m m c m .
Convert 2 200 centimetres to metres. Convert 1 4 of a metre to centimetres. 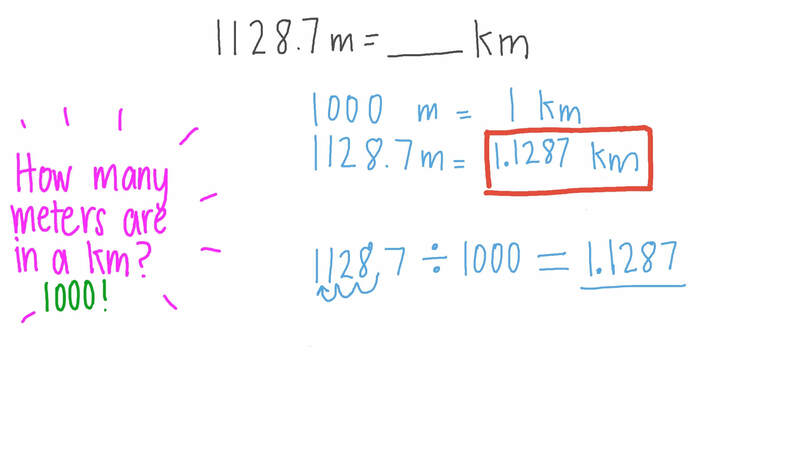 Convert 71 000 metres to kilometres. The distance between two cities is 28 655 metres. Round this distance to the nearest kilometre. Convert 37 metres to millimetres. Convert 89 kilometres to centimetres. How many centimeters are there in 0.53 km? How many millimeters are there in 0.55 km? A highway is 76.9 km long. Express its length in meters. The length of a table is 5 metres. Write its length in centimetres. A tree is 4 meters tall. How many centimeters tall is the tree? Mariam bought 4 metres of cloth to make a dress. She used 386 centimetres. How many centimetres of cloth are left? Write in centimetres: 3 metres. Write in metres: 300 centimetres. Fill in the blanks: 1 . 9 = m m m .